To be honest, I have a love-hate relationship with our central air conditioning unit. That is to say, I love the central air conditioner when it's hot outside and fills the house with refreshing, cool air, but hate it when it's hot outside and quits working. As a homeowner for more than twenty years I have had a few repairs done on the central air conditioner that we rely on so heavily during the summer months. This much I know without a doubt, it's far cheaper to maintain this appliance on a regular basis than it is to repair or replace it. 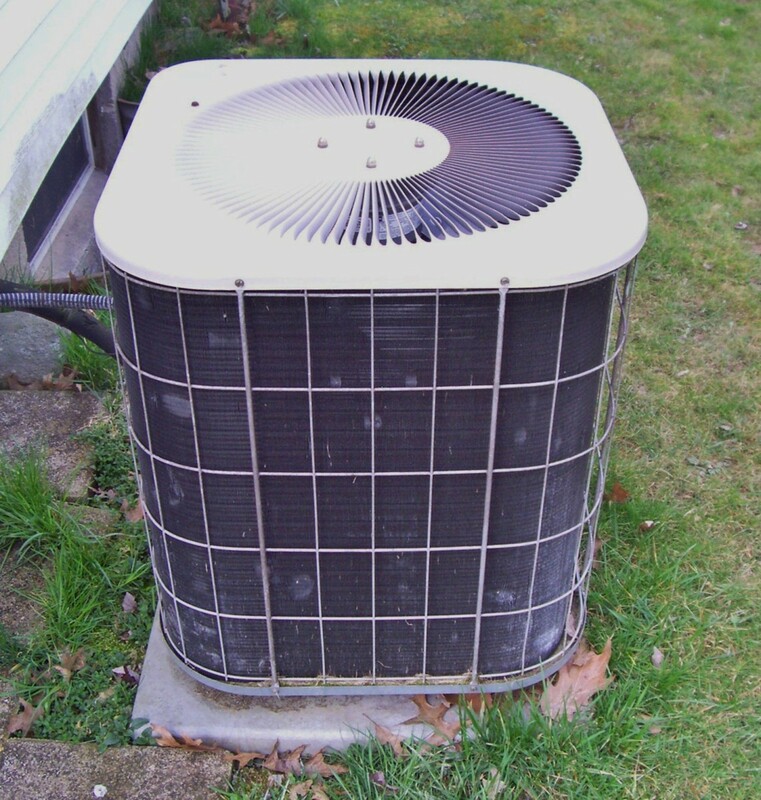 Proper air conditioning maintenance can help your unit last decades. On the flip-side, a neglected air conditioner loses roughly 5% of its efficiency each year that it operates without upkeep. 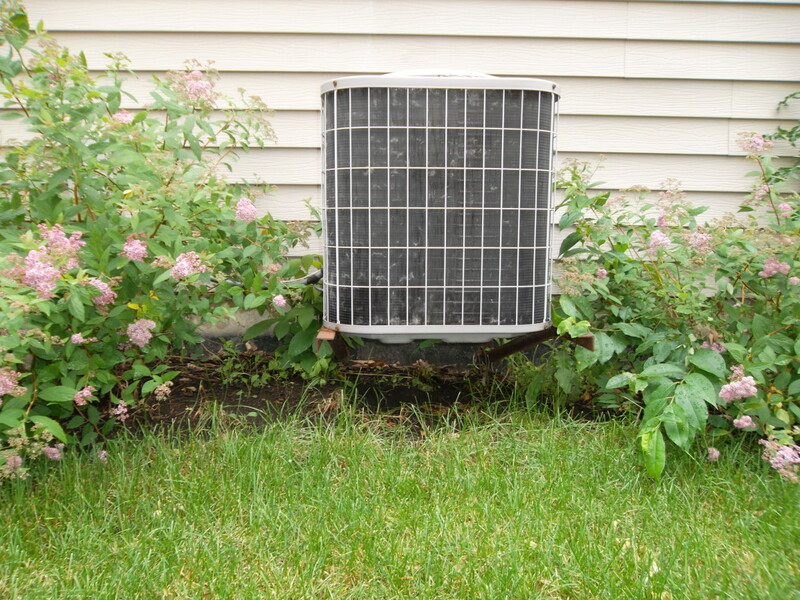 Fortunately, there are some very simple things that any homeowner can do to keep their A/C unit running efficiently and perhaps even less often throughout the warm months. 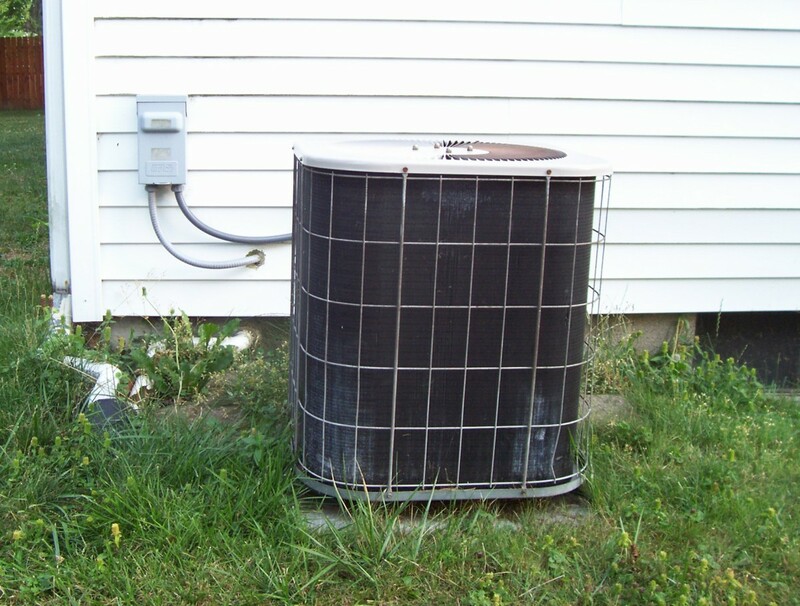 Let's face it, outdoor air conditioning condensers are ugly and it seems that homeowners will do their best to hide them from sight. Plants, fences and trellises tend to be popular ways to go about doing this cover-up. Yet, air conditioners need an adequate amount of air flow around all sides in order to perform at peak efficiency. This is why experts recommend that landscaping and other objects be placed about three feet away from the unit itself. Cleaning up leaves and other debris on a regular basis, as well as trimming or cutting back bushes, trees and other plants all help increase the air that your unit needs to draw into its system. 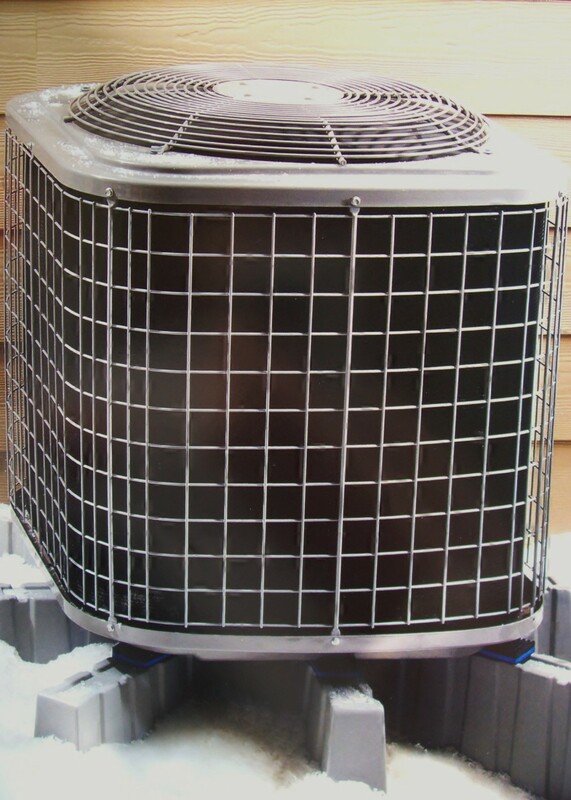 If your outdoor air condenser unit is in an unnoticeable location, it's very easy to forget about cleaning it regularly. But you don't want to neglect this very easy chore. 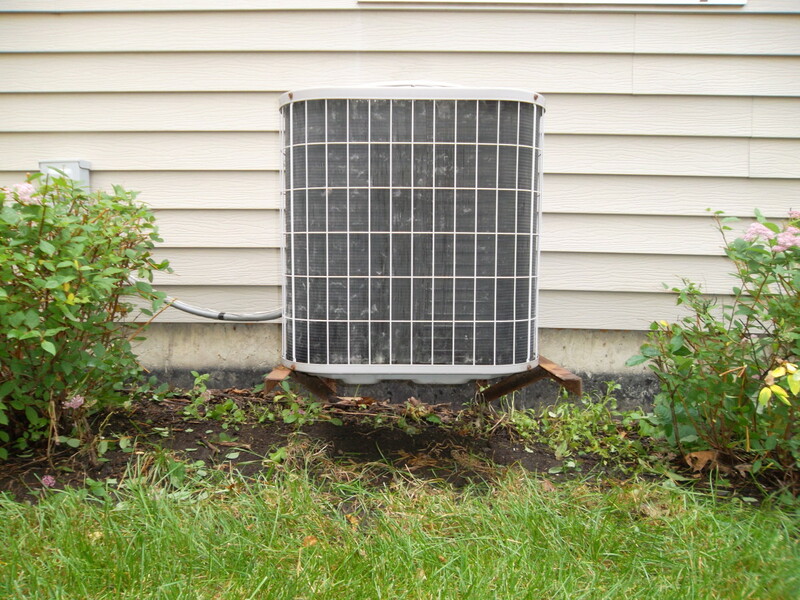 The condenser pulls in air, and when it does, pollen and other debris often cling to its exterior. This will restrict airflow and cause a decrease in cooling efficiency and perhaps even cause the unit to overheat. 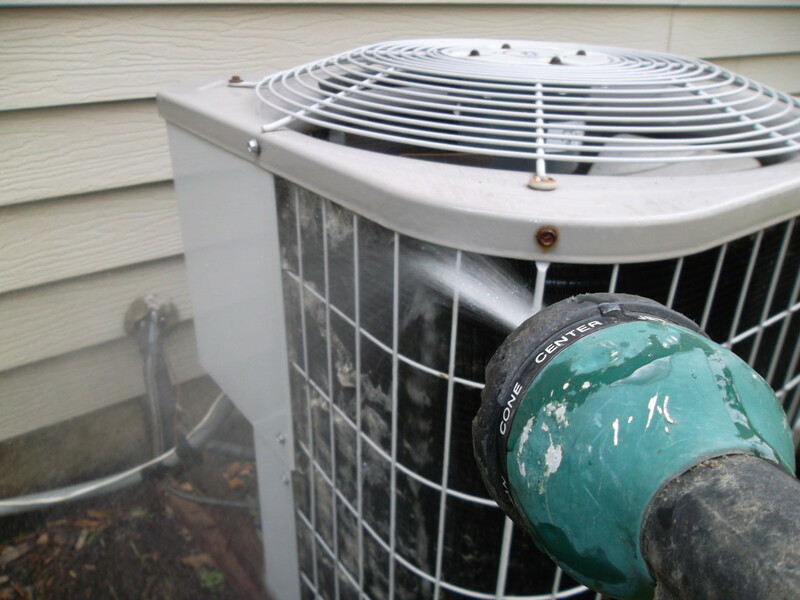 Pull out your garden hose and with a hard stream of water, working top to bottom, hose off each side of the condenser. With a two-story house the upper level is often warmer than the lower level even with the central air running. This is the case with our home, and knowing that hot air rises and cool air falls I figured I could easily balance the air temperature by adjusting the register (air vent) openings. It is true that closing some registers on the cooler lower level forces more air out of the registers upstairs. The cooler air then works its way downstairs and the air temperature becomes more even throughout the house. However, by doing this the air conditioning unit may completely shut off! In fact, when I totally closed some lower level registers, the coils in the unit froze and the A/C quit functioning. Luckily, by shutting off the entire cooling system and giving the coils time to thaw, the A/C was up and running again within a few hours. Do not completely close registers. To balance the air temperature, registers can be slightly closed, but do not close them completely. (It took me two times to learn this lesson.) Additionally, make sure supply vents are not blocked. 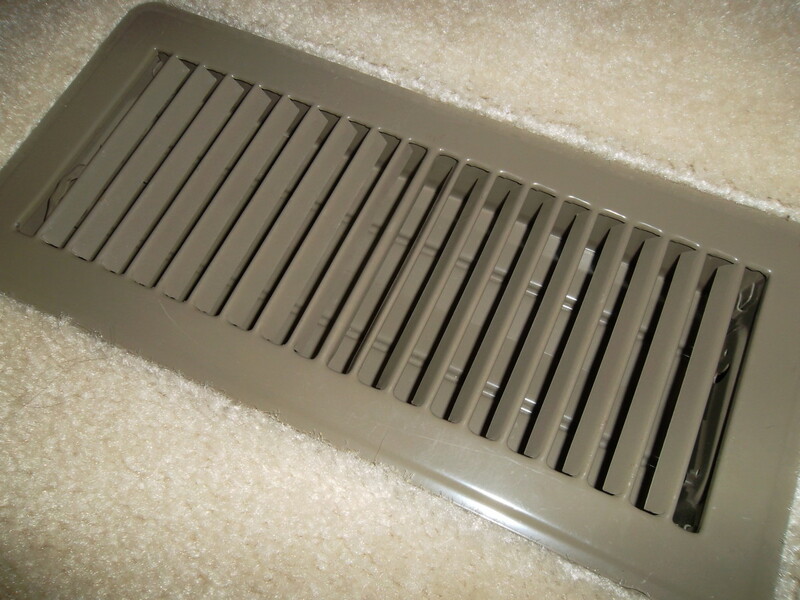 Maintaining a central air conditioning unit is all about maintaining airflow. That is why it is important to regularly change the air filter on the system. 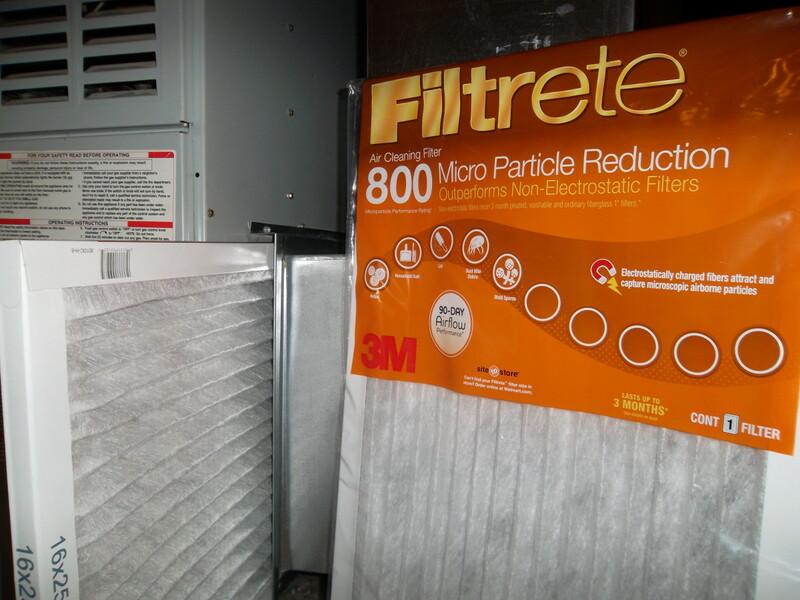 Filter packages usually state a recommended schedule for replacement (i.e. every 90 days or so) but it really depends more on how much the unit is running and how dirty the air is. During hot months, it may be beneficial to change the air filter more frequently. The process is often as simple as sliding the old filter out and sliding in the new one. ...regular cleaning/changing of your filter will ensure the best filtration, increase the life of your machine, and give you peace of mind that you’re breathing easier. It stands to reason that the less the air conditioner is actually in use, the less wear and tear it endures. 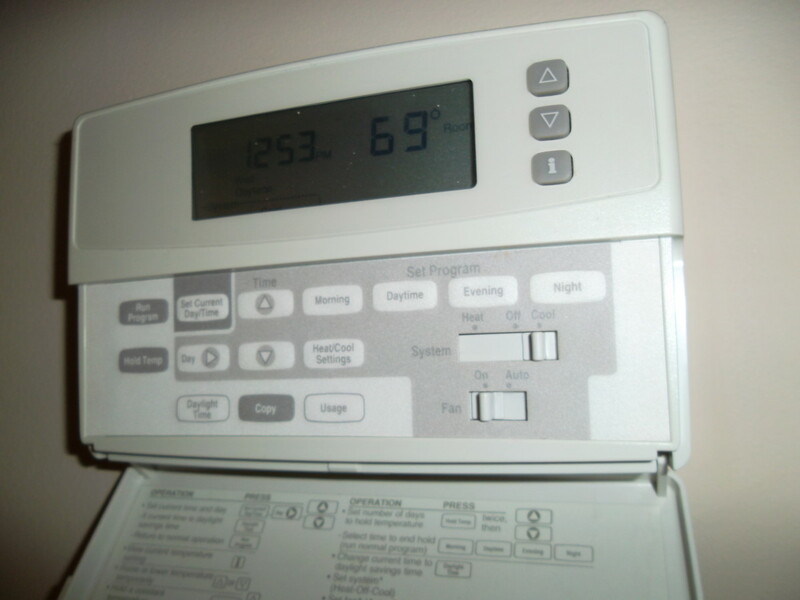 For anyone with a programmable thermostat, setting the temperature by day and time is a good way to reduce the unit's overall usage. For example, we set our temperature higher during the daytime and colder during the hours when we sleep. 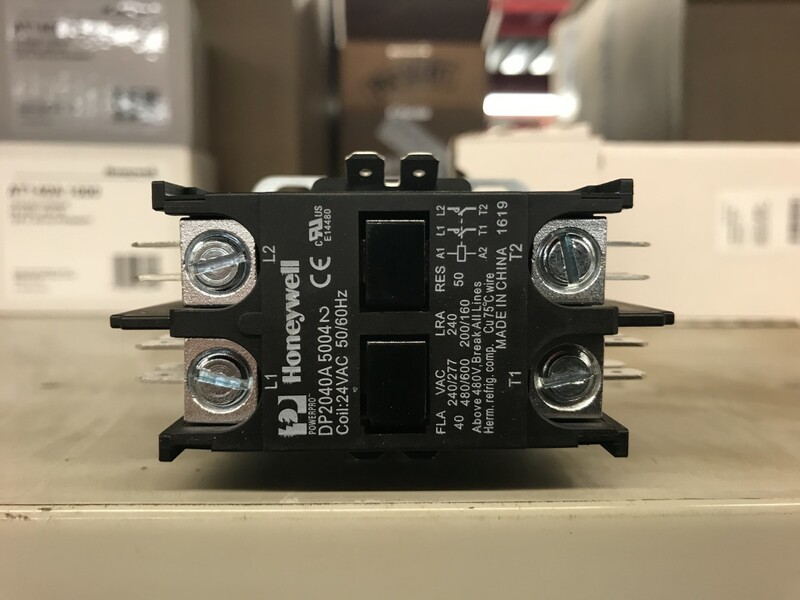 It's far more efficient to program in desired temperatures than it is to shut the unit off completely and then turn it on after a day of work. Another excellent way to keep the air conditioner from needing to run as often is to block the sun during the hottest part of the day. 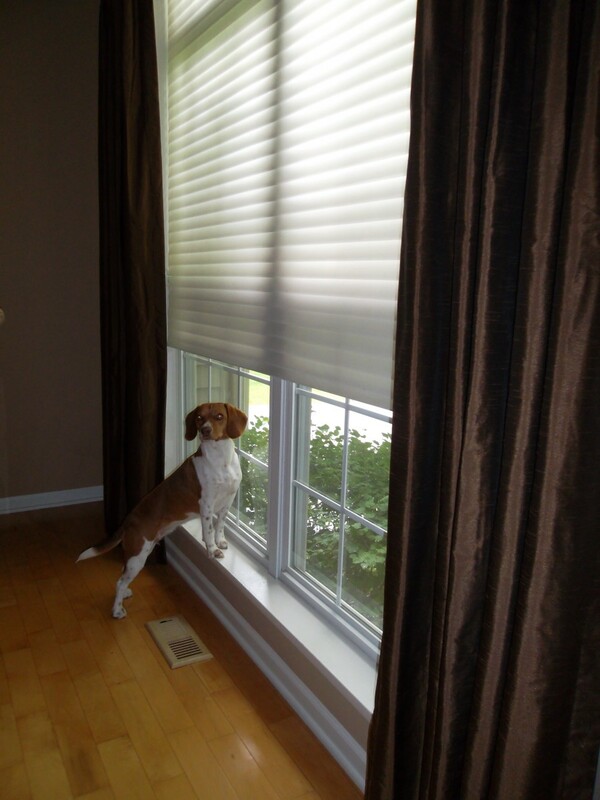 During the hours when the sun shines in the most, blinds or drapes should be closed. This way, the home's interior temperature will not rise as much. Additionally, consider planting trees or installing awnings to diffuse some of the sunlight. Before each cooling season it is a great idea to get a regular maintenance check and cleaning done on the unit by an HVAC professional. Service professionals usually inspect the control box; coils; fan motor and blades; and compressor and tubing; among other things. Additionally, refrigerant levels are inspected and adjusted if necessary, and the unit cleaned. As the old saying goes, an ounce of prevention is worth a pound of cure. If you've ever had your central air conditioner quit working on the hottest day of the year, you fully understand that preventative A/C maintenance is definitely preferable to repairing or replacing it due to neglect. Today my wife and I put down fill dirt on the north side of house and mulch on top to absorb rain water. We put dirt and mulch right up to the pad the air conditioner condenser sits on, the system still has airflow on all sides. Does anyone know if this is ok? Wow, I don't know how I missed this one. Congrats on the HOTD you won for it. This is certainly chock full of useful information. 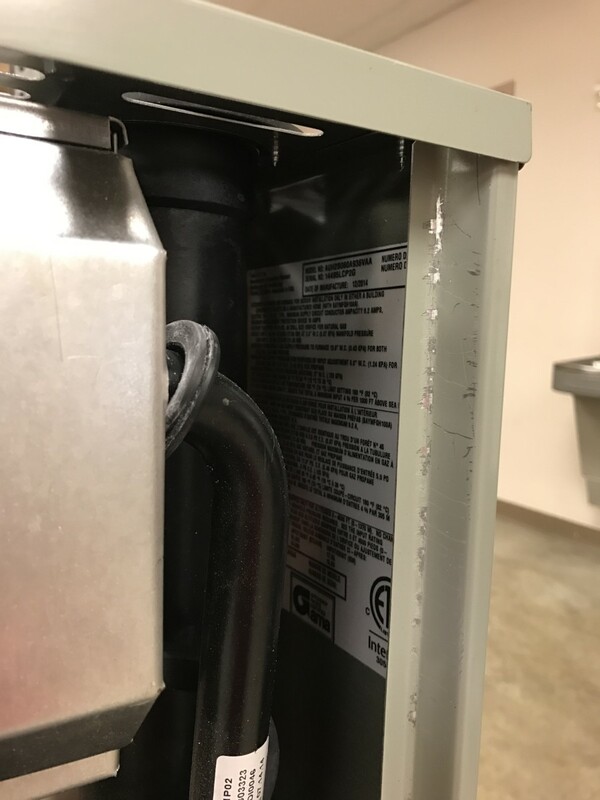 A little maintenance sure does go a long way, even on air conditioning units. Dolores - Hosing the pollen off your AC unit is a really simple thing to do to help keep it running smoothly and efficiently. You will probably want to do this a few times during the spring when the pollen is probably at its peak. Thanks for the simple tips to keep that AC in good working order. The pollen around here can be heavy at times, and I just don't think of hosing it off. Will do next spring! Nice hub. I would also add...make sure the unit is level on the exterior of you home. Some of the new models are installed on brackets that attach to the foundation. However, the older ones need to be leveled. I walked by one that was out of level in my neighborhood the other day and it was making a horrible sound...not good. Definitely important to keep the central air clean of debris and shrubs/plants surrounding it trimmed down to a reasonable level... I learned this the hard way! Hi Howard. Well you sound more capable when it comes to actual air conditioner repairs than I ever will be. Check out cre8tor. He works in HVAC and has terrific hubs of this nature. A couple of weeks ago I noticed a problem with the drains from my indoor cooling coil pan. It's happened before and I fixed it, but I either don't remember how or it's not working. The secondary is only supposed to drain when the primary clogs. They're both dripping--and I've tried blowing out the primary. I guess I'll have to open the cooling coil unit itself and study it from that end. It probably needs cleaning anyway. Thanks RTalloni. I do hope this is helpful to a lot of people. Congrats on your Hub of the Day award for a hub that will be helpful to many people! Thanks Skyler. This was in response to a weekly topic inspiration which happened to coincide with some much needed A/C maintenance that I needed to do. I still need to edge and mulch around that condenser unit - such is the life of a homeowner. This certainly is one appliance you don't want to go on the fritz in your neck of the woods around Dallas. I lived there for a few years and remember all too well how incredibly hot it gets there day after day. So not surprised that you got Hub of the Day again. Hats off to you -- this really is an awesome and useful Hub. I change the filters regularly and wash the condenser off every so often, but I didn't know it was beneficial to trim plants. Ardie - I know exactly what you mean. My dad fixed everything, appliances, cars,televisions - heck, he even built the house. I cannot recall ever having one single repairman or contractor out to the house when I was a kid. So it is hard to pay when you know that with some know-how the job can be done for free labor. That's why it's nice to try to avoid costly repairs with a little bit of maintenance. This is JUST what I need right now. The hot weather is right around the corner for us. I dislike spending a ton of money for someone to maintain my central AC when I've watched my dad do it to his own for free since I was small. Thanks for the tips!! Thanks urmilashukla23. How nice of you to read, vote, and take the time to let me know that these A/C tips are helpful. Rebecca - I'm glad to know these air conditioner maintenance tips were helpful. Thanks for letting me know. Great central air maintenance tips. Helpful and voted up. Great Hub to keep up to date on cooling our homes efficiently this Summer. It is extremely helpful! Congratulations! sammimills - I'm glad I could help and thanks so much. jpcmc - And better output is a money-saver all around. Very informative and useful hub! I learned and discovered a lot. Congrats on being LOTD! Deserving. Proper maintenance will definitely give you better output - plus less trouble in the future. Simple steps make it easy! coffeegginmyrice - Thank you and I'm glad you liked my dog; I have to include her every now and then since she is my ever-present writing partner. Wonderful tips to keep in mind. Congratulations, ktrapp! I love the dog by the window, nice photo! Kristine - It's perfectly fine to hose off the outside of the unit. After all, it gets wet in the rain, but you probably shouldn't spray the inside. Perhaps leave that cleaning to professionals if it's even necessary. What useful information. I did not know that I could hose down the condenser unit and I will be doing this. Thanks. I'm glad this is handy information for you, TheMagician. Thanks for letting me know. Thanks Steph. I'm doing everything in my power to extend the life of my air conditioner as I dread the cost of a new one. I believe our unit is about 14 years old now. I bet you might know a thing or two about "greener" air conditioners - is there such a thing? 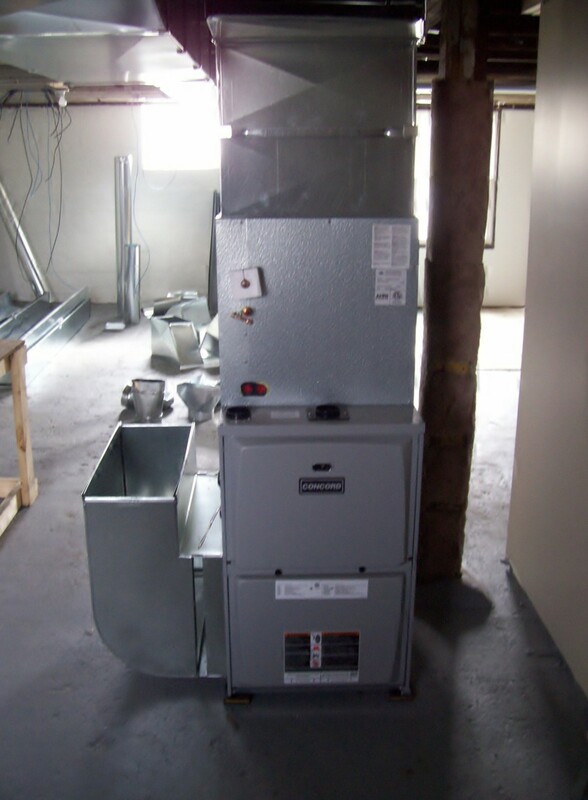 joaniebaby - Our filter for our furnace and air conditioner are one and the same which is probably the case with yours since the two systems would share the same duct work throughout the house. So you probably should change it soon if you haven't in awhile. I'm glad this was info. you could use. That's funny Victoria Lynn. Thanks for stopping by this hub again. VirginiaLynne - I really appreciate the added information learned from your HVAC copywriting experience. Due to the cost, I have always dreaded when the day comes to replace the entire A/C unit, but you make an excellent point about electricity usage on older units. kthix10 - While I'm not an HVAC professional (see cre8tor who commented a few above this - he has incredibly helpful hubs since he's in the biz) you might want to open the supply vents and with the air conditioner running see if you feel any air flow. 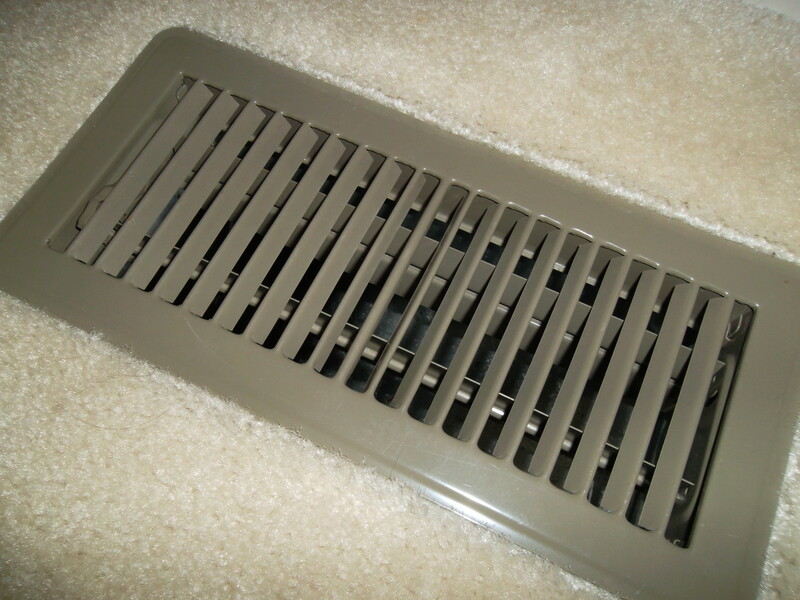 Where you have return vents (the ones that pull the warm air out of the room in the summer and cold in the winter) hold a piece of paper up to it when the A/C is on and see if it "sticks" to it from the draw of air. If those things happen then those rooms are part of the system. But I would have a professional do a quick inspection if I were you. Thanks happyboomernurse. The pollen can get really bad if left unchecked. I didn't put a photo of the back side of the condenser up, but it was completely covered in pollen from just a couple months of spring. It's funny, but when I've watered neighbors' outdoor plants while they are on vacation, I have also hosed off a few dirty A/C units; clearly they had no idea they should do this - no charge of course :) Thanks for the nice comment and votes. Great Hub. I didn't even realize an A/C unit had a filter. We always clean our furnace filter. Is this the one the A/C uses, or is there another one in the A/C unit itself? Thanks for the info. You are the Hub of the Day Queen, ktrapp! Congratulations, once again! Good information. I do copywriting for a number of HVAC companies and have written on this subject before, but not for Hubpages. It is also important to look into the type of MERV filter you use because some need to be cleaned more often and reduce efficiency. Another thing to consider is that sometimes replacement is cost effective if your unit is older (10 yrs or so) because the older units used so much more electricity. Congrats on Hub of the Day! Great tips to keep central air conditioners running and lasting longer through regular maintenance. Most I knew and already do but some I didn't, like the importance of hosing off the pollen and debris around the unit. Congrats on earning Hub of the Day for this excellent article. Thanks Kelley. It's so easy to forget to do some of these tasks (out of sight, out of mind), so I'm glad you found this useful. Cre8tor - Thanks so much. You've got the most helpful hubs on this topic too. myownlife - Glad you found each of the tips to be useful. ytsenoh - Nice to know you found this to be an excellent guide. I appreciate you letting me know that. Excellent hub! Great step by step instruction guide in how to care for your AC unit. Thanks. How wonderful for you, moonlake, that your son has a heating and air conditioner business. I don't think you're crazy to have central A/C; when it's hot it's nice to be able to cool off indoors. Thanks for commenting and voting. Lots of good information. I love our central air. People hearsay it's crazy to have it but I don't think so, we have never been sorry we put it in. If we need it fixed we call our son. He's a has a heating and air business. Voted up on your hub. Thanks Simone. A lot of these tips fall under the category of "live and learn." Air conditioner and furnace repairs can be pretty costly, and being without either isn't too pleasant either. What a thorough, useful, practical, clearly-written guide! This is SO helpful! I love the original photos, and really appreciate the tips. Most of those would not have been at ALL obvious to me, so should I ever find myself living in a house with central air conditioning, you'll have saved me a lot of trouble! Thanks catgypsy. You should definitely clean up around your A/C. Excellent hub ktrapp. I do all of these things, but it reminded me that I need to go wash it off and trim some weeds away from it! Thanks! I guess it really depends more or less on the percentage that is closed throughout the house. Heating and air conditioning systems need that air flow to operate efficiently and to extend the longevity of either the furnace or the air conditioner. So you have to be careful when closing the supply registers. I have seen where some professionals say it's OK to close 20% of the airflow off and others say not to do it at all since there are risks involved. ktrapp, In the rooms I don't use a lot, I just opened them up a little bit to let some air flow through. Think that's okay? Thanks for letting me know Victoria. If you find the air temp is too uneven from room-to-room or perhaps from downstairs to upstairs you can balance the registers by closing some a little bit. There's good information out there on how to balance registers (easy to do). Thanks randomcreative. All of these suggestions are quick and easy, so it makes sense for homeowners to do them and extend the life of their air conditioners. I opened up my closed vents, today, if not all the way open! thanks for the valuable information! Great topic for a hub! I will definitely take some of these suggestions into consideration! Oh no mts1098. I think you need to leave your man cave (that is where you said you lived in your profile, right?) and head out to the store to get some filters. Changing them every two years is way too long. It should be closer to every 90 days. (Maybe you meant to write two months.) Anyway, it's real important to trim back plants around the air conditioner too - anything to improve airflow is what's needed. MarleneB - Glad to have been able to help. This is very helpful information. My husband does all the maintenance around the house; I never really paid much attention to what he does. But, I have learned after reading your hub, I need to open up a few registers. Thanks Victoria. 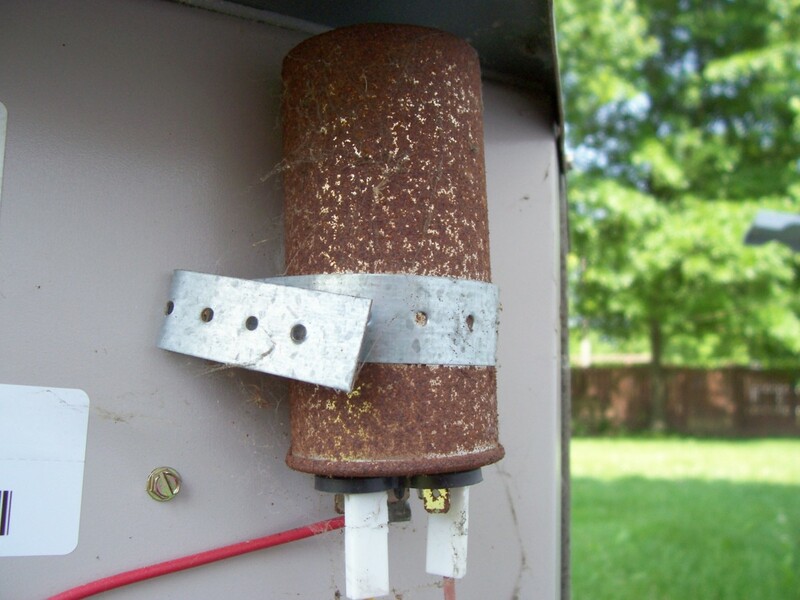 Not only can closed registers cause the coils to freeze, so can low freon. Freon levels is one thing that is checked in an annual maintenance and must be done by a professional. Obviously the cost of an annual inspection varies, but it is usually in the neighborhood of $100. Some companies offer packages to come out once before the cooling season and once before the heating season at a discounted price. 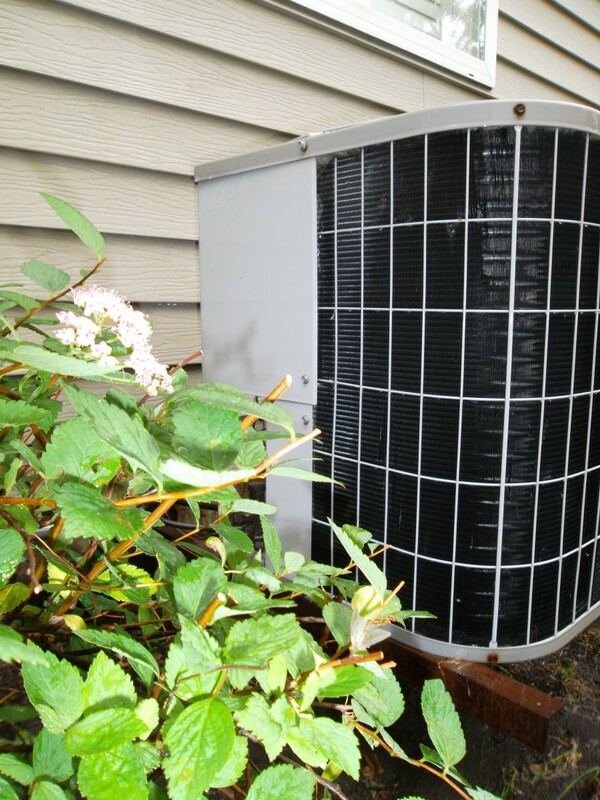 But when it comes to a central air conditioner, small repairs can prevent costlier problems from occurring. It's definitely worth it in the long run. Such a useful hub! I need to open up some of those registers a bit; some are completely closed off. Great tips. I don't know the last time my unit was inspected. Is that expensive? But worth it, I'm sure. You write such informative, helpful hubs. Thanks!